We don’t need an excuse to head out for lunch and grab a burger, as you’ve no doubt noticed from the homepage. We’re big fans of sticking a juicy piece of meat into a bread roll and topping it off with something sweet, and it seems that crew behind lifestyle e-guide Mr Hyde are similarly enthused. August 27th saw their National Burger Day hit the capital and their 20% off at participating joints was too good for us to turn down. 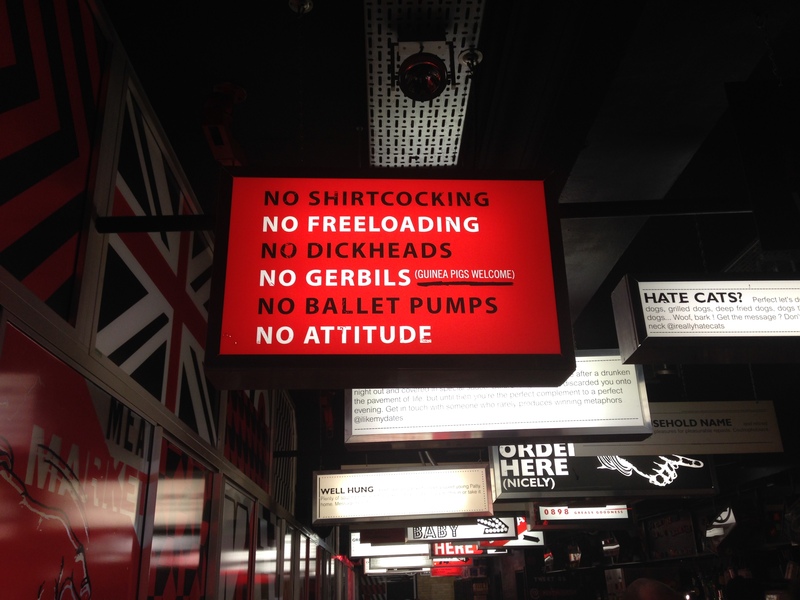 We headed through Covent Garden market to finally tackle Meat Market. 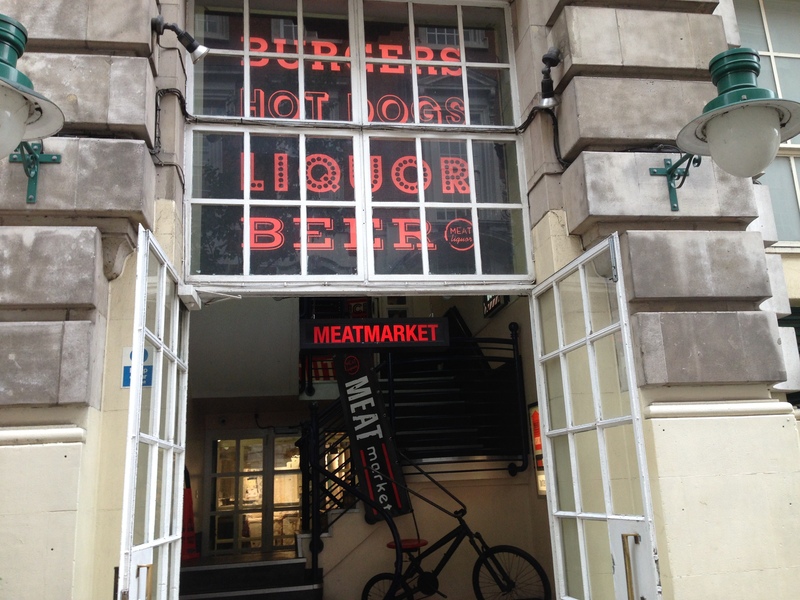 The Joint: Meat Market, The Deck, Jubilee Market Hall, Covent Garden, London, WC2E 8BE. Check out their website here. 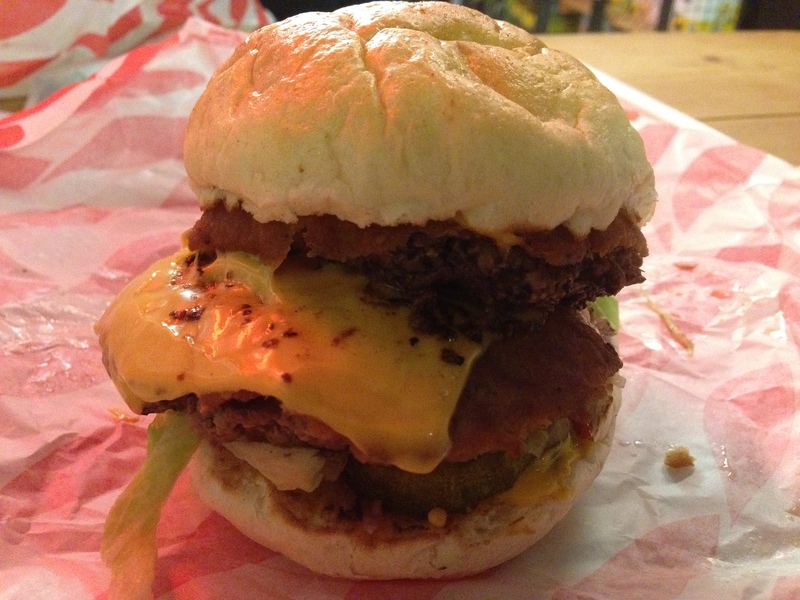 The Vibe: High above the rafters of the Jubilee market hall is one of the most popular burger joints in London. Meat Market, part of the Meatwagon and Meat Liquor group, jumped at the chance to join in on National Burger and this added to the atmosphere as we headed in. The joint is brighter, friendlier, and far more welcoming than its trendy Meat Liquor sister site and better for it too. The queue, packed with young professionals all clutching their 20% off vouchers, moves quickly and we’ve ordered the Bacon Cheeseburger and refillable soft drink in no time. As we head to the high tables and bar stools we take in the colourful décor and modern design. It’s a far cry from the dated market it’s perched over and we’re big fans of the ‘No dickheads’ sign and the not so subtle innuendo crammed on the walls. Orders are called out over a speaker so loud that it cuts through the excitable chat, though we’ve barely sat down when ours is up and we’re off again. Meat Market’s Bacon Cheeseburger packs an impressive two patties, strips of spicy bacon, a slab of American cheese, red onions, pickles, and lettuce into its small frame. It sticks together well though and the added flavour in the meat gives it a huge taste, one that’s far more accomplished than your average bacon and cheese burger. The joint does a great range of topped fries too and on previous outings we’d have snapped up their chilli cheese fries but felt for our waistlines for a change and sat them out. We can’t apologise enough for not following the ‘Go Hard or Go Home’ ethos. The Price: It’ll set you back £8.50 for the bacon cheeseburger normally, and a few pounds more for an unhealthy amount of soft drink. 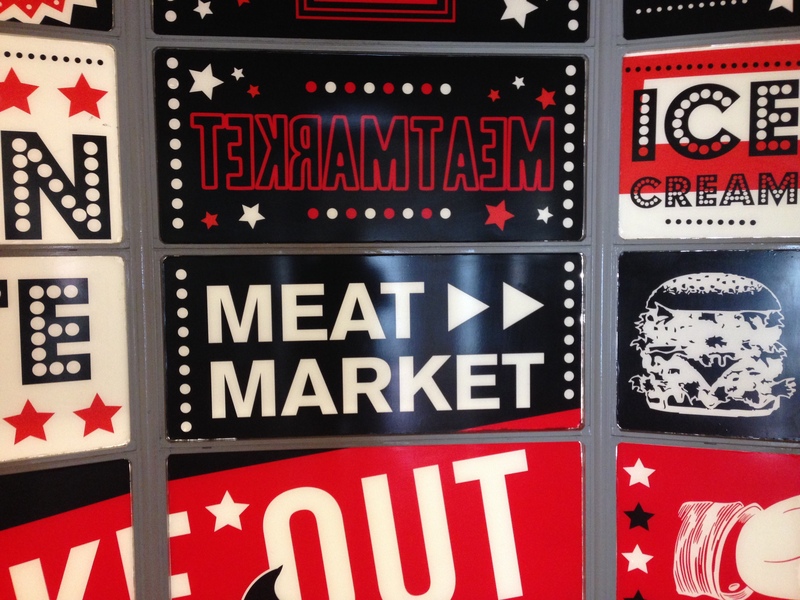 Meat Market was visited by Tom in August 2014. Posted in LondonTagged bacon, Bacon Cheeseburger, burger, cheese, covent garden, dead hippie, Food, jubilee market hall, London, lunch, meat liquor, meat market, soda, WC2EBookmark the permalink.